Now, I know that I’ve gone on and on about Responsive Web Design, in fact it’s been over six months since I wrote about it. However it’s more important now than it was six months ago to make sure you get mobile web right. In fact if I was asked if someone could only have a mobile site OR a desktop site, which one should they get, I’d recommend the mobile one, something I certainly wouldn’t have six months ago. If your website isn’t built to be responsive to Mobile phones and Tablets, you could be losing out on sales big time. 99.5% of Mobile users won’t go past the first page of a website if it’s not built for Mobile. 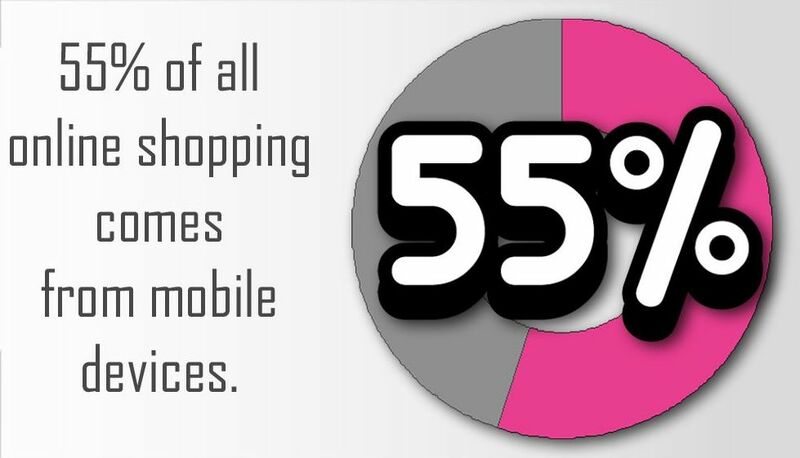 67% of Mobile users are more likely to complete a purchase if the site is mobile compatible. 61% of Mobile users will swap to a mobile compatible website. If your website isn’t responsive to mobile devices you’re throwing sales away. Even if you don’t sell online, research shows that 84% of users research decisions using their mobile devices. So the number of visitors to your establishment and bookings all suffer as much as online sales. Scruffy Dug Design Solutions can build you a responsive, modern website which will help you build your business. We can help you at every step, from getting online to building your brand recognition. We have experienced staff who can help with building Websites, Graphic Design, Social Marketing, Book-Keeping, Marketing, Sales, and many other areas. Many thanks for taking the time to read this, should you require any further information or to book a free no obligation web site audit or consultation then please contact us by email at info@scruffydug.com, or by telephone on 07412 387451, or check out our website http://www.scruffydug.com . Take a loolook at my site and tell me what you think. Done, Audit report sent off today. Hope it’s of some use to you.